The OTB ESB portal is quite handy but lacks some useful features and also has some usability issues. 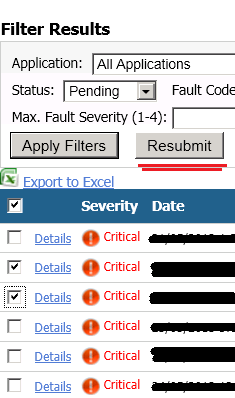 I recently had a go at enhancing the ESB Management Portal so that messages can be resubmitted in bulk. This needed a bit of web skills as well in order to cater for the UI and make the whole experience seemless. 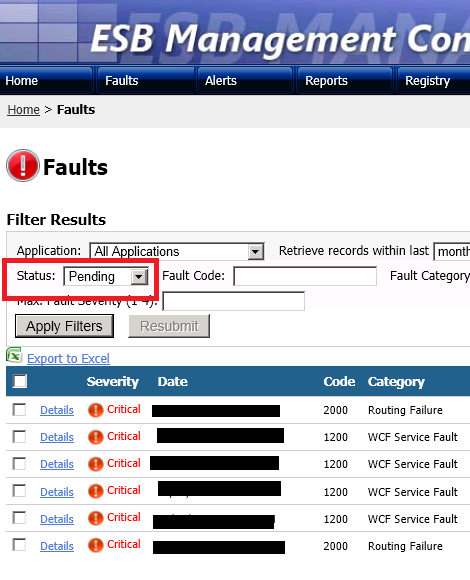 I needed to introduce two modes in the ‘Faults’ page where the user could view pending faults vs processed faults. Users could select the faults for which they wanted the messages to be resubmitted and click on Resubmit. Messages would then be resubmitted in the order same order they were thrown as exceptions. This has really helped us in scenarios where a whole load of messages would be sent to the ESB portal for review and the administrator has to ensure that order of processing was maintained. This feature involved changes to both the portal and the ESB exception service. The portal was also “ajaxified” for a better user experience.